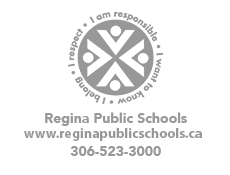 The Regina District Industry Education Council (RDIEC) is a non-profit corporation established in 2013 as a result of industry education councils being highlighted as best practice in the Government of Saskatchewan's Plan for Growth Vision 2020. RDIEC provides a venue for an effective long-term sustainable partnership between industry and education. Working with three school divisions (Regina Public, Regina Catholic and Prairie Valley), File Hills Qu'Appelle Tribal Council, community-based organizations, government agencies and employers, the goal of RDIEC is to create career development opportunities for youth, educators and career practitioners. Acting as a conduit of career information between students and employers, RDIEC's work supports the goal of smooth transitions for all students. RDIEC's Board of Directors is comprised of representatives from the three Regina school divisions (Regina Public School Division, Regina Catholic School Division and Prairie Valley School Division), the File Hills Qu'Appelle Tribal Council, post-secondary institutions, business and industry with equal representation from industry and education. Please CLICK HERE to visit the RDIEC website.